Emma is incredibly shy. She is so shy, that she often struggles to make friends, as she is too scared to even try! Suddenly, a big opportunity comes her way, but she needs a team to help her. Emma will have to make friends in order to take on the task. Will Emma find the courage she needs to overcome her fears? Lagos, a native of Massachusetts has written poetry, stage plays, screenplays and short stories for over 20 years. She has written multiple genres’ including the science-fiction fantasy, “Beyond Earth Series”, The Women’s Fiction novels, “Butterflies Wake” and “Butterflies Rising”, as well as several short stories published in the “Giant Tales” Anthologies. 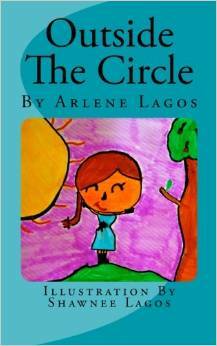 This is Lagos’ first children’s middle-grade novel inspired by her daughter. Her goal in life is to create and to inspire the world around her. Lagos currently resides in Massachusetts with her family.